Nydia White at Happy Cat House Calls, 425-209-0590 or happycathousecalls@gmail.com. Dr. Julia Dunn at onepurraway.com, 206-556-9510 or juliadunndvm@gmail.com. Dr. Wailani Sung at All Creatures Behavior Counseling, 425-739-9995. We provide in-home feline behavior consultations for house-soiling, marking, anxiety, aggression, new pet introductions, and many other issues. All consultations occur in the home so that the cat's environment and daily routine can be assessed. Recommendations for treatment usually involve behavior modification and "environmental enrichment" (changes made to the home environment to enhance quality of life). Complete behavioral and medical history must be provided to Dr. Gross. Medical problems must always be ruled out first by your regular veterinarian prior to scheduling a consultation. Feline Behavior Housecalls is a veterinary practice, which means that we follow the legal requirements of the Veterinary Practice Act. Dr. Gross must examine the patient in order to establish a veterinarian-client-patient relationship. 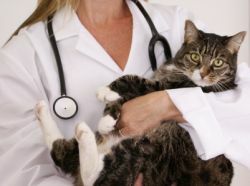 Once this has been established, we can diagnose and make treatment recommendations for your cat. Dr. Cori Gross is a feline-only veterinarian providing cat behavior consultations for residents of the Northwest including Seattle, Kirkland, Bellevue, Mercer Island, and Redmond.